Molasses, ginger, cinnamon, nutmeg, cloves, allspice...those sweet smells might make you think of cookies, but oatmeal has been an easy and versatile breakfast for ages. For the holidays, or any time of the year, gingerbread oatmeal just makes sense. It is a delicious and nutritious way to start your day and wake up your palate! This oatmeal is super quick and easy to make and is only a few more ingredients than regular oatmeal. It is a delicious and nutritious meal to serve your hungry family in the morning. 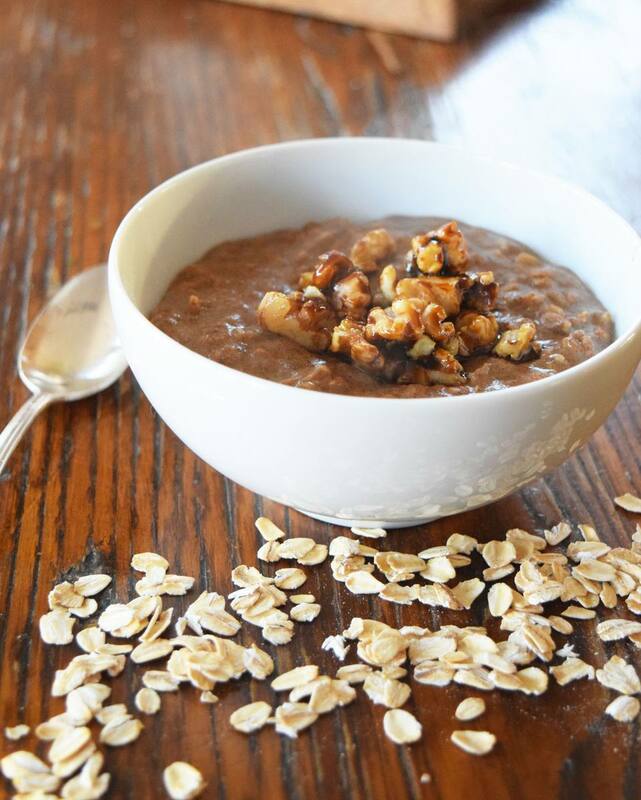 You can easily replace the oatmeal with gluten free oats or cream of wheat. You can use the spice blend below, or just use a teaspoon pumpkin pie spice. It's basically the same! Who knew? This is also a great breakfast to make ahead of time. It can be stored in the refrigerator and eaten cold or reheated. Start by heating the milk in a medium saucepan over medium heat. Heat until just about a boil. Add in the salt. Add in the oats and stir to combine. Add in the remaining ingredients and turn the heat to low. Cook, stirring occasionally for about five minutes, or until the oats have absorbed most of the milk. Top with nuts or candied ginger for extra spice!